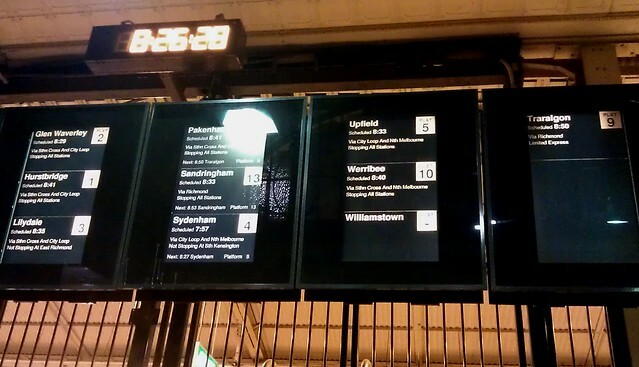 There are services to Williamstown until around midnight of course (catch a Werribee train and change at Newport), but these screens at Flinders Street seemed to think trains had ceased for the night. Hopefully staff nearby would have known where passengers needed to go, but having accurate, complete information would obviously be a big help. PT Problem of the Day: How are Siemens train seats consistently the dirtiest on the system? PT Problem of the Day: Elizabeth Street: Which tram leaves first?